Exercise plays an important role in attaining optimum health, and participating in sports is a terrific way to exercise regularly. Whatever sport you participate in, you’re likely having fun, gaining strength and endurance and leading a healthy lifestyle. There is, of course, an occasional downside to sports and that’s when injuries occur. Some sports injuries heal quickly, others are more long-term and some sports injuries become chronic conditions. At Total Chiropractic Care and Wellness, we treat many patients who come to see us for sports-related injuries. Sometimes it’s for back or neck pain, other times we’ll treat injuries to joints, like shoulders, knees and ankles. If your sport of choice is tennis, or even if it isn’t, you may be suffering “tennis elbow.” We treat all of these injuries at Total Chiropractic and one of the treatment options we often recommend for sports injuries is called trigger point therapy. Total Chiropractic wants our patients to know about this treatment and how it can help with sports injuries. According to the Canadian Chiropractic Association, sports injuries are commonly caused by a traumatic force striking a joint in motion causing hyperextension or hyperflexion. Many professional athletes seek chiropractic treatment for sports-related injuries. In fact, all 32 NFL teams have chiropractors, who’ve formed their own society. In addition to trigger point therapy, chiropractors also treat sports injuries through joint manipulation and mobilization as well as soft tissue therapies, adjunct modalities and exercises. Trigger points, also called myofascial pains are small knots or areas of spasm within a muscle. They’re painful to the touch and when the trigger point is touched, a shortening of the muscles occurs and the pain can be “referred.” This means that pain can be felt in a remote location when the trigger point is touched. The pain can last for hours, days or even months. There are many things that can cause trigger points. In addition to sports injuries, trauma caused by car accidents can be responsible for them. Misuse of muscles, misalignments, disc and spinal problems can also cause trigger points. The inflammation causes muscles to contract. When this happens continuously, the blood supply is constricted causing cells to lack the energy needed to stop contracting. This prolongs spasms and it creates trigger points. When you come to Total Chiropractic for trigger point therapy, your doctor, Todd Goldman, DC, will identify tight painful points on your sore muscles. Then he will use his fingers to put direct pressure on these trigger points to relieve that tension. This will cause a reduction in pain and the beginning of long-term relief. You’ll likely need several sessions. When you receive trigger point therapy treatment from Total Chiropractic you can avoid surgery as well as prescription medications. 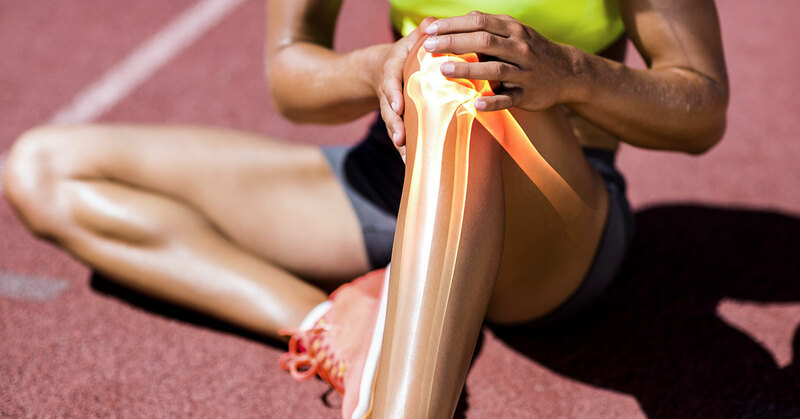 If you’ve suffered a sports injury and it’s leading to spasms or chronic pain, we may be able to help. Contact Total Chiropractic today.